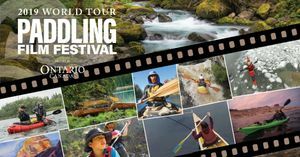 Each spring the Northern Forest Canoe Trail co-hosts screenings of Rapid Media's Paddling Film Festival with Northwest River Supply. 2019 show locations include Saratoga and Lake Placid, NY, Burlington, VT, Concord, NH, and Bangor and Freeport, ME and Providence, RI. We will be showing a selection of winning films about canoeing, kayaking, rafting and SUP adventures. Our 2019 films will be announced soon! Film Fest Freeport, ME 5/31/19 - FREE!